About: According to old customs, God Statues Cruise happens during the first month of the lunar calendar. There are various kinds of ways to cruise the god statue. For some large-scale ones, there will be lanterns on high posts, colorful flags, festive lanterns, dressed-up people, lion dance, cloth banners, big gongs and drums, instrument playing such as bamboo flutes, Ying Ge Wu (Ying Singing and Dancing), etc. 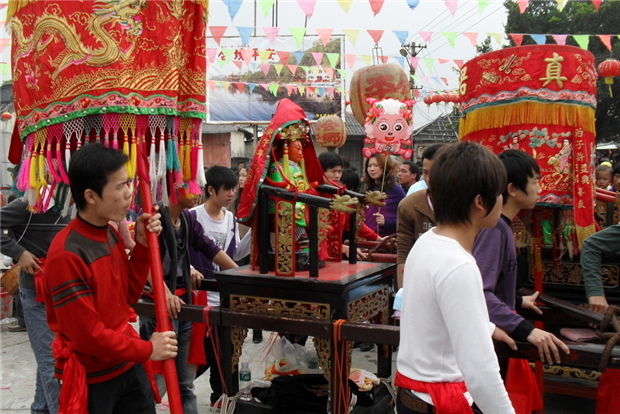 The time for cruising the god statues varies from village to village but the ways of celebrating it are quite similar. God statues cruise is often accompanied by opera performance, which is called “God Opera”. It is said to be the performance for gods, so the stage is set in the front of the temple. 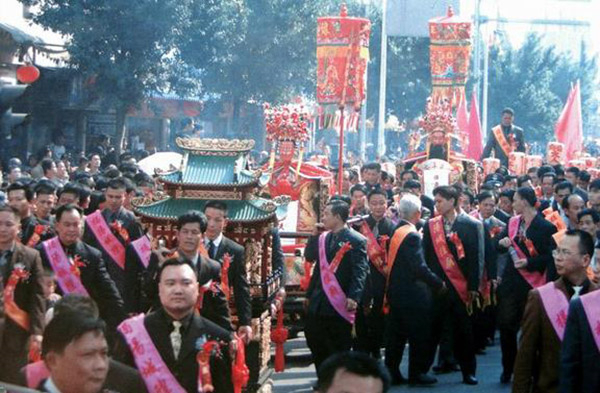 After the founding of the People's Republic of China, some parts of this event has been canceled in order to get rid of superstition, but others like flags parade, big gongs and drums parade and operas are still quite popular among the folk and new contents have been added into the event.